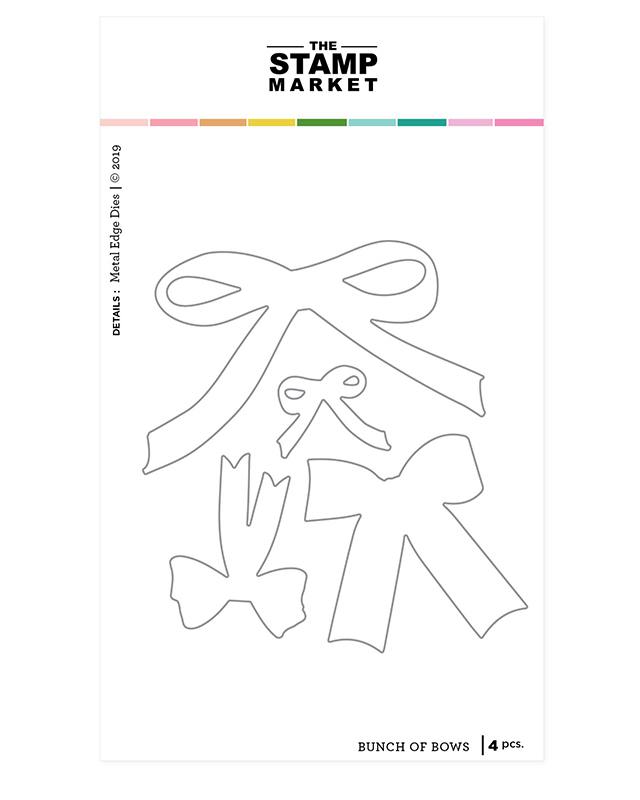 Wrap up your next paper craft with the Bunch of Bows Die set from The Stamp Market. There are 4 thin metal dies included in the package that are compatible with most die cutting machines (sold separately). 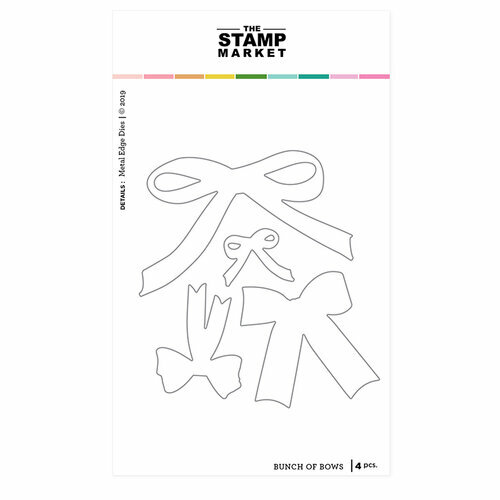 This coordinates with the Bunch of Bows stamp set (also sold separately). 1.25" x 1" to 3.75" x 2.25"